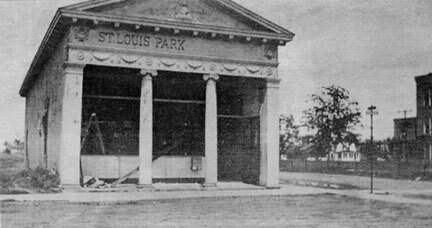 This location, Walker Street at Dakota, was originally the site of the St. Louis Park State Bank, which was organized in 1915. The building was long and narrow with an ornate entrance graced with Greek columns. It was directly west of the original Central building, which had been built as the High School in 1914. At the same time the bank opened in August 1915, the Post Office moved into the back of the building. The bank failed in February 1919, and the Post Office moved to the front of the building. 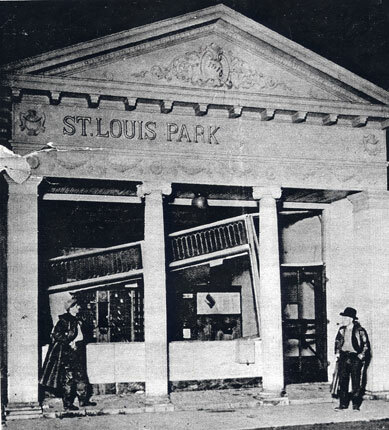 On June 25, 1925, a tornado blew the letters out of the Post Office. 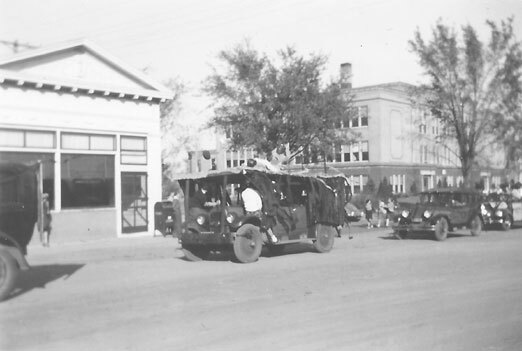 The Post Office was moved into another building further west on Walker Street in 1937. This photo was developed in November 1939. At some point “Lefty” Simonson started a restaurant in the back of the building (pictured below). He sold the business to Peter “Pete the Greek” Ralles. It is unclear what happened to this building. 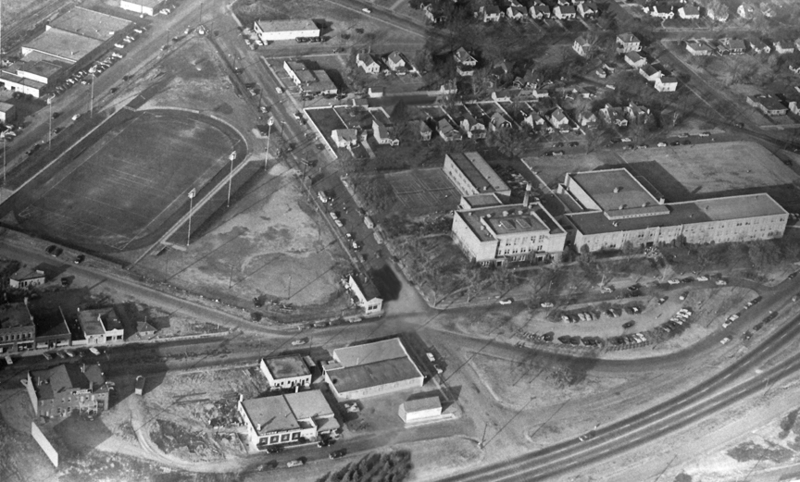 An aerial photo in the 1954 Echowan shows that it still existed – smack dab in the middle of the photo below. 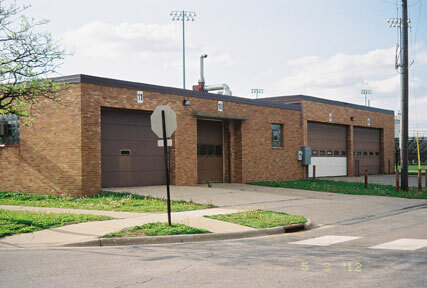 However, tax records seem to indicate that the present building at this location was built as a one-story building in 1952 for the M.L. Gordon Sash & Door Co. as a warehouse. It is completely surrounded by loading docks. It now belongs to the school district and is used as a Grounds Shop: it holds all the district’s grounds equipment, trucks, etc. and is also where their mechanic repairs vehicles and other equipment. Perhaps that old, ill-fated bank building is still there under the bricks.